GSSSB Recruitment 2018.Gujarat Gaun Seva Pasandgi Mandal (GSSSB) has released a notification for the recruitment of Laboratory technician, Assistant curator, Mines Supervisor and technical assistant vacancies.Check the eligiblity and notification prior to apply for the positions. 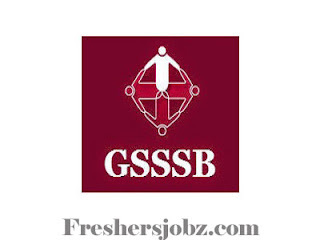 Look around for “GSSSB Recruitment 2018 for Lab Technician, Mines Supervisor, Technical Asst. & Curator Posts“.